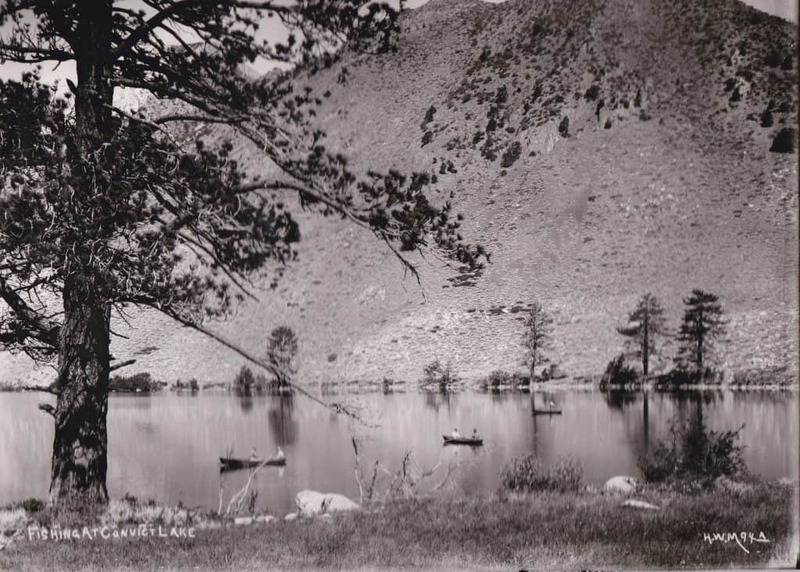 In 1929 the resort was officially established as Convict Lake Camp and owned by Bill Garner. Prior to that the resort area was referred to as Raymer’s Camp. 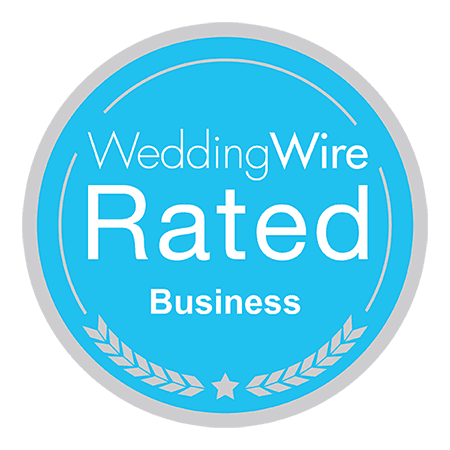 Ownership was passed to the Wenger Family in 1962 and to the current owners 1982. Convict Lake and Creek are so named as the result of an AMBUSH encounter here September 17, 1871, where a group of inmates escaped from prison in Carson City. Sheriff George Hightower eventually caught up with the convicts and a shoot out took place. Robert Morrison a Benton Merchant, Mono Jim and other posse members encountered the convicts on the present Convict Creek, then known as Monte Diablo Creek. In the encounter Morrison and Mono Jim were killed and the convicts escaped to be captured later in Round Valley. 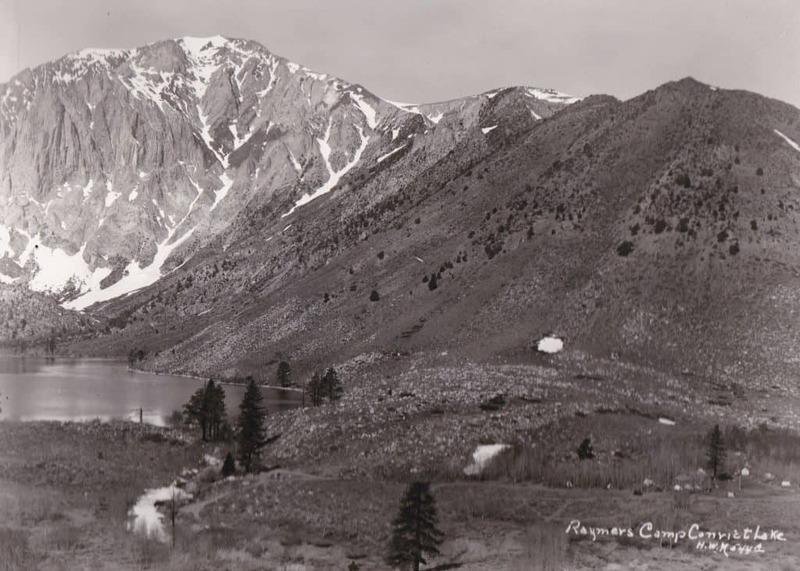 The towering peak above the lake was re-named Mt. Morrison and the smaller one below it Mono Jim. 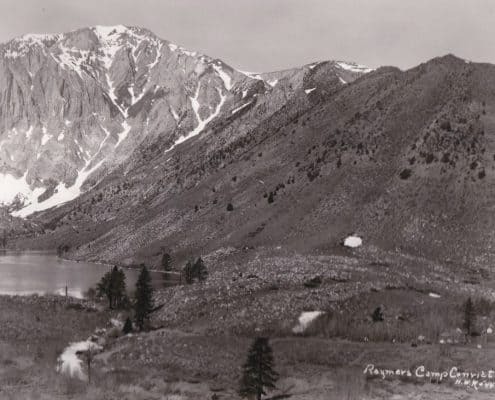 The Indians are said to have called Convict Lake Wit-sa-nap bearing this legend. “The streams which flowed from the mountains were supposed to be filled with Pot-sa-wa-gees, water babies, who lived in spirit, but were visible to the eye, having the face of an Indian child and the body of a fish. Hi-na-nu was a wise and good man, whose spirit the Indians reverenced, and to whom they looked for guidance in earthly matters. However, he was endeavoring to capture the Pot-sa-wa-gees as they traveled up stream. When the sources of the streams were reached the water became so shallow that the water babies were in great danger of being taken by their pursuer. 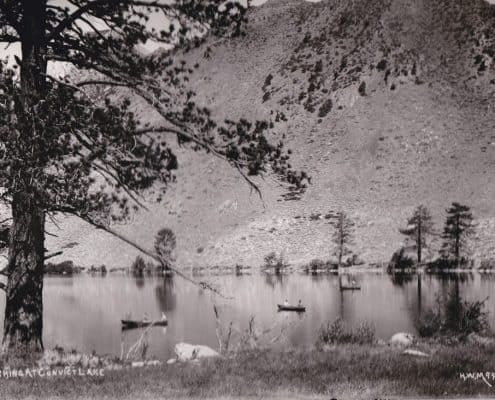 They prayed to the Great Spirit for aid, and in answer he caused the waters to flow up hill and to join the waters flowing down from the mountains, uniting in one large, deep lake, wherein the little spirits found safety —Wit-sa-nap, the Convict Lake of to-day.” Sierra Club Bulletin Vol. IX, San Francisco, CA, 1915, Mrs. A.A. Forbes. 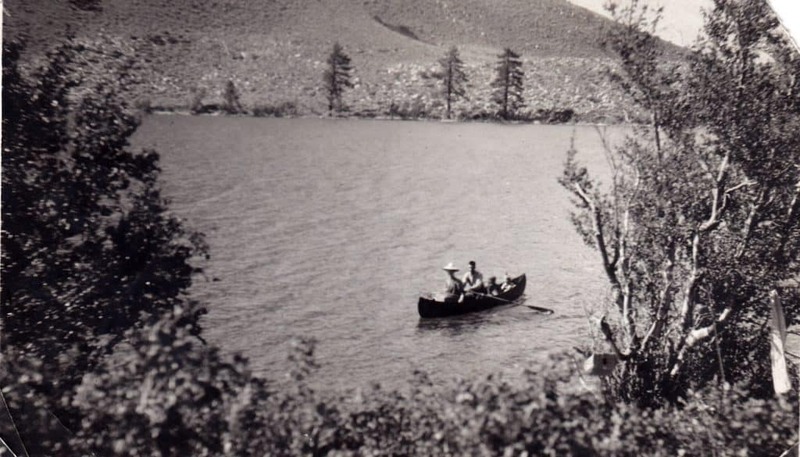 Visit our general story book section for more history of the lake and surrounding area. One of the most popular selections is Gun Play at the Lake by Richard Delaney. 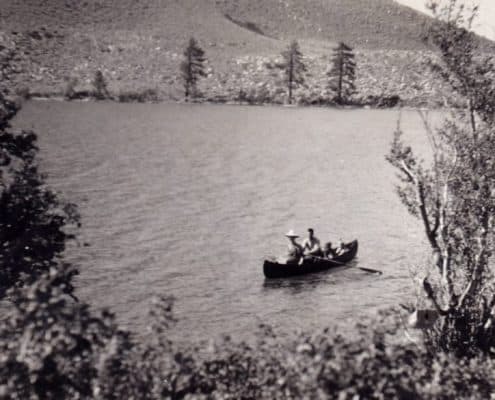 The 1951 film The Secret of Convict Lake was largely based on the events that occurred at the lake in 1871. 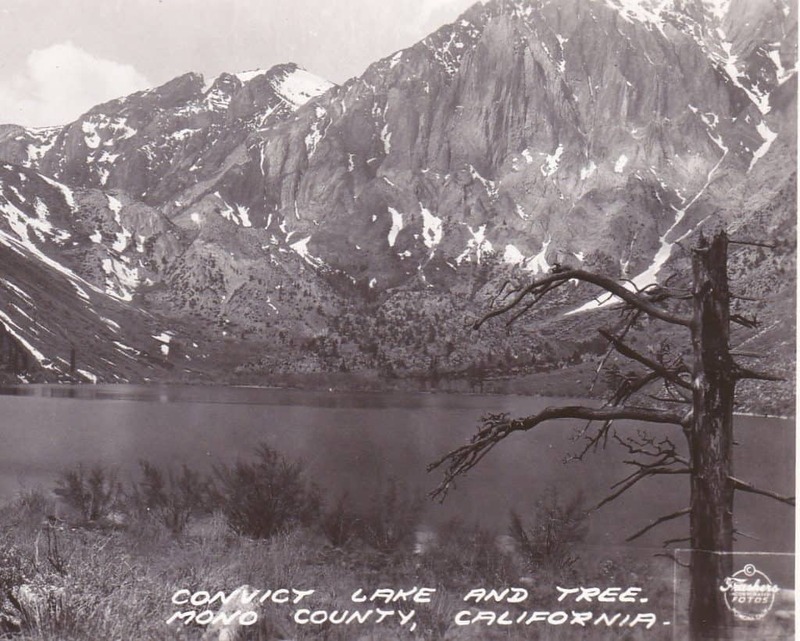 According to the narrative included with the movie How the West Was Won, Convict Lake was in the opening scenes. The lake was the filming location for several scenes in the 1998 film Star Trek: Insurrection. The 1966 movie Nevada Smith by Steve McQueen shot near the lake. It was used in an advertisement for Nature Valley granola bars in 2007 and 2010. An image of Convict lake was used in a CG background for a cartoon demonstration on Mythbusters.